Do you need help with your substance use disorder? If you are battling with alcohol and/or drug abuse and are ready to get treatment, contact the Screening Assessment and Referral Center (SARC) to help you find the treatment that is right for you. 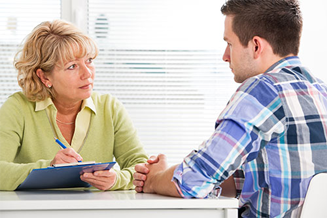 When you contact SARC, you will be connected with a staff member who will conduct a confidential assessment for substance use treatment placement. Once you have been assessed, our staff member will discuss what the best treatment options are for you. Once you both agree on your treatment, our staff member will help coordinate appointments and other necessary arrangements at one of our treatment provider agencies. Questions and concerns about SARC can be directed to 909-421-4601.